If you can play with your food, why not wear it as well. 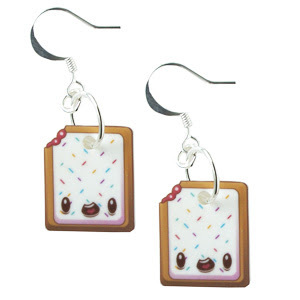 Pop Tart pastries as earrings! Not your run of the mill toaster treat. Check out that 'tude!